One of the best upgrades you can make to your studio is to get a nice outboard preamp. But it can be hard to bite the bullet. After all, you’ve got preamps built into your audio interface, right? They sound fine, so why would you upgrade them? The point is this – just because you’re happy with the stock preamps on your interface doesn’t mean your sound can’t be dramatically improved by investing in an outboard preamp. Don’t succumb to Gear Acquisition Syndrome. Buying gear for the sake of gear is no bueno. However, if you’re in a position where you’re ready to upgrade, read on. Rather than go into the technical jargon of why this is cool, I’ll just give you the brief version. 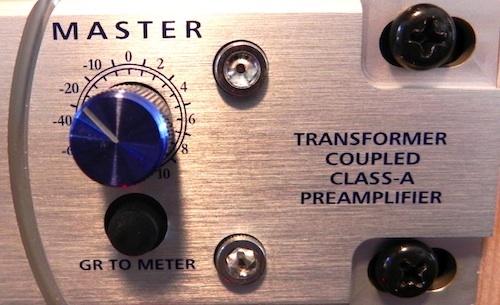 There are basically three types of preamps: tube preamps, transformer preamps, and preamps with fully discrete circuits (no transformer or tube). Typically the fully discrete preamps have a very clean sound, while transformer and tube preamps add some “color” to the audio. The Eureka has a transformer in it. At $500 (at the time of writing this), that’s awesome. Even if there were no other features on this unit, it would still be worth the money. Having that transformer simply takes the audio to another level. It doesn’t sound like a cheap preamp. It has a very open sound. When I compare it to the preamps on my 003, I notice that the signal simply sounds more professional. It has more depth to it. The frequency response goes higher and deeper, and there’s much more detail. You can thank Mr. Transformer Coupled Preamp for that. While the preamp sounds amazing by itself, the onboard compressor and EQ sound great, too. If I had to choose one word to describe them, it would be clean. There’s nothing over-the-top about the two. The compressor gives you plenty of control over the sound without adding a lot of coloration. It has controls for Threshold, Ratio, Gain, Attack, Release, and Side-Chain High-Pass Filter. There’s also a selector for “Soft” compression (meaning a softer knee setting). I’ve used this compressor on vocals and bass a lot, and it clamps down on them nicely. Since it’s so transparent, I can compress a signal by 10 dB and it doesn’t sound obvious at all. Great-sounding compressor. If you’re wanting a really aggressive compressor that adds all sorts of harmonic distortion (like a Distressor), this isn’t going to make you happy. But if you want something subtle and clean, you’re in good shape. The 3-band EQ is equally cool. It’s a legitimate 3-band EQ, meaning it gives you Frequency, Gain, and Q (width) controls for each band. You can also switch the high and low bands from shelving filters to normal bell curves. [UPDATE: This is wrong. Sorry! You can adjust the width (Q) of each of the three bands, but you can’t switch the high and low bands from bell to shelving.] Very versatile. The EQ, like the compressor, sounds very clean and subtle. If you’re wanting something agressive and obvious, you won’t get it here. But if you want to cut a few annoying frequencies while tracking, and have everything sound natural, this will do it wonderfully. Most microphone preamps have a set impedance, meaning a set electrical resistance to the incoming signal. For condenser mics, this usually isn’t much of an issue, but when you start using dynamic or ribbon mics with low-level outputs, being able to change the preamp’s impedance can be a life-saver. By adjusting the preamp’s impedance, you’re essentially adjusting how “hot” the mic is. This allows you to have plenty of gain without needing to max out the pre (which is never a great option). I won’t go into the details of what an impedance selector does. Suffice it to say you can make your microphone sound very different depending on where you set the impedance…a nice way to get more sounds out of your existing mic collection. Want a dirtier sound? Want the pre to sound less clean and more like a tube preamp? Reach for the saturation knob. This essentially adds harmonic distortion to the signal. While nothing can make a solid-state preamp sound just like a tube preamp, the saturation knob can give you an extra level of tone for your recordings. For example, sometimes my vocal recordings sound a bit too bright through the Eureka. I simply increase the saturation a bit, and it “warms things up” without making them sound muddy or indistinct. You have the option to monitor the output gain or the amount of gain reduction at the compressor. Gain-staging on a channel strip can be difficult at times. You spend 10 minutes dialing in the perfect EQ and compressor settings, then you realize that you’re clipping your input into Pro Tools. If you turn the preamp down, then you’re changing how much signal is hitting the compressor, which changes how much compression is occurring, thereby changing the actual tone of the audio. The Eureka gives you a master volume knob that acts a lot like a fader in Pro Tools. It’s a final gain stage, so you can trim up or down the signal without having to re-tweak the preamp, compressor, and EQ. This bears repeating. As I’m writing this article, the Eureka is selling for $499.95 over at Sweetwater. It’s one of those no-brainer preamp deals. 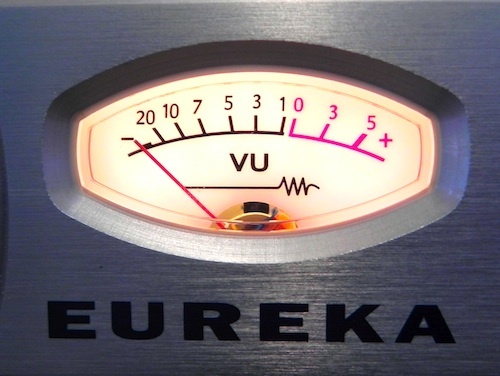 I’ve heard several engineers tell me that they like the Eureka as much as preamps that cost two to four times as much money. Rear Power Switch – The power switch for the unit is on the back, so if you’re using an equipment rack like I am, it’s not easy to turn it off. I like to have that option with my preamps. Input Gain – The only readout you have on your input gain is a 3-stage LED. It would be nice to have the option of seeing the input gain on the VU meter, but you can’t. Fairly Bright – The first time I used the Eureka, I thought it sounded a bit bright. I think it was because my previous preamp didn’t capture the high frequencies as well. Either way, sometimes the vocals I’ve recorded can be a bit harsh. The more I worked with it, the more I was able to dial in a good tone, but that’s something to keep in mind. No Saturation on Line Inputs – It would be nice to be able to run a line-level signal through the saturation section to see what that sounds like, but the saturation is only applied to microphone and guitar inputs. All in all I think the Eureka is a fantastic piece of equipment. If you were to only buy one preamp, this would be an excellent option. 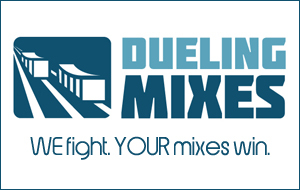 It gives you a large variety of tones without sacrificing quality. Plus it can be extremely beneficial in helping you learn how to use EQ and compression properly. For more information, head over to the Presonus Website.